Happy New Year FANCY readers!!! I hope y’all had a great holiday season surrounded by what matters most- family and loved ones! We have been experiencing some chili weather here in MIAMI, definitely got to enjoy it while it last! 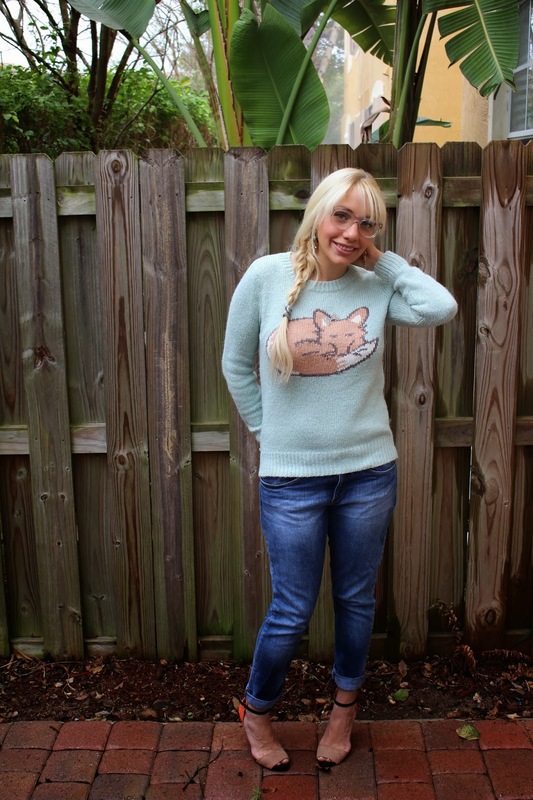 Sooo, I decided to wear this comfy Lauren Conrad sweater (kinda obsessed with this adorable fox), with BF jeans & some staple heels for a coffee date with the hubs. I enjoy getting out of my sweats any chance I could get! ha! I love that sweater! And the song haha. Happy New Year!